"KINGSON" Brand Impact Crusher-VSI Crusher incorporates rock-on-rock crushing technology that has revolutionized the aggregates and mineral industries worldwide. It is designed for low services requirement, ease of lubrication and continuous services. KINGSON VSI is an excellent third and fourth stage reduction unit, combing a unique crushing and grinding action in a single machine for the processing of abrasive friable or sticky material. 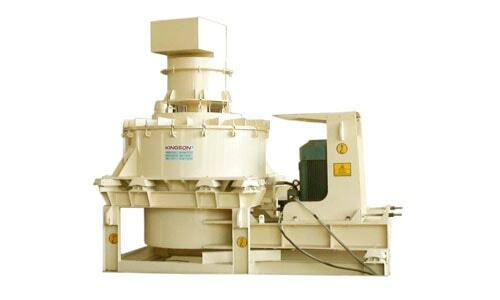 ● Competitive cost, especially when compared with conventional crushing equipment. ● Low service and maintenance requirements, minimum operating and wear cost. ● Produce and product of superior cubical shape due to preferential crushing action. ● Quick balance rotor, rock-on-rock technology minimizes were part requirements.